Department of Biology, McGill University, et al. Since 2013, United Nations Secretary-General Ban Ki-moon has been urging countries around the world to adopt ambitious climate change policies so as to avoid a global temperature increase of more than 2oC during this century. Answering this call, we formed the Sustainable Canada Dialogues, an initiative that mobilizes over 60 researchers from every province, working to identify a possible pathway to a low-carbon economy in Canada. Participating scholars represent disciplines across engineering, the sciences, and social sciences, with sustainability at the heart of our research programs. Our position paper, Acting on Climate Change: Solutions from Canadian Scholars, launched in March 2015, identifies ten policy orientations illustrated by actions that could be immediately adopted to kick-start Canada’s necessary transition to a low-carbon economy and a sustainable society. Scholars from Sustainable Canada Dialogues unanimously recommend putting a price on carbon. Besides putting a price on carbon, Acting on Climate Change: Solutions from Canadian Scholars examines how Canada can reduce its greenhouse gas emissions (GHG) by (1) producing electricity with low-carbon-emissions sources; (2) modifying energy consumption through evolving urban design and transportation advancements; and (3) linking the transition to a low-carbon economy with a broader sustainability agenda, through the creation of participatory, well-coordinated, and open governance institutions that engage the Canadian public. Our proposals take into account Canada’s assets and are based on the well-accepted “polluter pays” principle. They are presented in detail in the core document, which can be downloaded from the Sustainable Canada Dialogues website. Integrating sustainability and climate change into landscape planning at the regional and city levels to ensure that, among other goals, new and maintenance infrastructure investments are consistent with the long-term goal of decarbonizing. Well-managed energy-efficiency programs that produce significant positive economic returns across the board, through cost savings as well as job creation. Energy-efficiency programs could target the building sector and other industries. Transportation strategies that move the sector away from its dependence on fossil fuels could rest on the implementation of a basket of options, ranging from electrification to collective and active transportation. Because renewable energy resources are plentiful, we propose that Canada could be 100 percent reliant on low-carbon electricity by 2035.1 This makes it possible, in turn, to adopt a long-term target of at least an 80 percent reduction in emissions by the middle of the century, consistent with Canada’s international climate mitigation responsibility and current targets adopted by other leading Organization for Co-operation and Development (OECD) nations and trade partners.2 In the short term, Canada, in keeping with its historical position of aligning with United States’ targets, could adopt a 2025 target of 26%–28% GHG reductions relative to our 2005 levels. We envision climate policy as the ongoing, long-term project of making the transition to a low-carbon society and economy.3 This notion of transition4 has many advantages: the 80% target establishes the direction of change, allowing Canada to plan for the future while recognizing that goals will take time to accomplish. It permits governments, businesses, and citizens to situate their activities within a context of predictable changes. As with other major transitions (past or future), such as industrialization or electrification, there will be controversies and setbacks. Some economic sectors will contract as others expand. The most important aspect of Canadian climate policies is to build a sustainable future starting today. The international landscape has changed substantially since Canada withdrew from the Kyoto Protocol in December 2011. Canada’s major trade partner, the United States, signed a major climate agreement with China. They also doubled their GHG emissions reduction target in 2014, sending a clear signal to the industry. According to Bloomberg New Energy Finance, clean energy investments in the USA alone increased from USD 10 to USD 50 billion between 2004 and 2014,5 with homes becoming a “competitive battleground, with utilities, device vendors, third-party solar providers, and even telecom companies indicating that they may have a role to play in intelligent residential energy systems.” Rooftop solar is the fastest growing form of distributed energy. As early as 2007, the United Nations Framework Convention on Climate Change (UNFCCC) published a report9 examining the investment and financial flows needed to reduce greenhouse gas emissions. A key conclusion was that investments made at the time of renewing infrastructure were among the most efficient, since they avoid premature replacement of capital stock. The report concluded that “investment decisions…taken today will affect the world’s emission profile in the future.” More recently, in 2014, the New Climate Economy Report10 dedicated a chapter to finance, concluding that the transition to a low-carbon economy will demand significant investment by all sectors of society, from industry to households, and emphasizing the essential role governments will need to play through direct investment in infrastructure and by putting in place policies and regulations that will orient private investment toward the low-carbon economy. The UNFCCC Financial Flow report11 also concluded that, in the absence of investment in climate change mitigation, the cost of adaptation would soar. For example, in the United States, natural catastrophes (floods and extreme weather events) that are predicted to increase in frequency as the climate changes cost the insurance industry $35 billion in property losses, up $11 billion over the last decade’s average. In 2011, a report from the National Roundtable on Environment and Economy estimated that the cost of climate change for Canada will be roughly $5 billion per year in 2020, with a four- to eight-fold increase by 2050.12 Effective climate change mitigation will actually reduce costs over the long run. This novel vision of sustainability breaks away from early discourses that cast sustainability in terms of reducing harm and that have been criticized as uninspiring.17 We have identified viable policy orientations that will have a large impact derived from our expertise and dialogue among our members. We do not claim to offer all possible policies or incentives to achieve sustainability, and we understand that further analysis, debate, and refinement will be required. However, in virtually all cases, our proposals to decarbonize are consistent with international18 and national19 analyses of viable policy options. We believe that presenting serious options is long overdue in Canada and hope that our input will help governments at all levels to make ambitious and thoughtful commitments to emission reductions before the December 2015 Paris-Climate Conference. Sustainable Canada Dialogues collaborated with the OURANOS consortium, which carried out climate simulations for the position paper. The simulations, based on greenhouse gas mitigation scenarios of the Intergovernmental Panel on Climate Change (IPCC), show that immediate global actions to reduce greenhouse gas emissions would successfully limit temperature increases in Canada. The time is now ripe to initiate ambitious climate-change mitigation efforts in Canada. Aitken, S., Faculty of Forestry, University of British Columbia; Anctil, F., Institut en environnement, développement et société, Université Laval; Bennett, E., Department of Natural Resource Sciences, McGill University; Berkes, F., Natural Resource Institute, University of Manitoba; Bleau, N., Programme environnement bâti, Ouranos; Bourque, A., Programme impacts et adaptation, Ouranos; Brown, B., Department of Philosophy, University of Lethbridge; Burch, S., Department of Geography and Environmental Management, University of Waterloo; Byrne, J., Department of Geography, University of Lethbridge; Creed, I. Department of Biology, Western University; Cunsolo Willox, A., Department of Nursing and Indigenous Studies, Cape Breton University; Dale, A., School of Environment and Sustainability, Royal Roads University; de Lange, D., Ted Rogers School of Management, Ryerson University; Dyck, B., Asper School of Business, University of Manitoba; Entz, M., Department of Plant Science, University of Manitoba; Etcheverry, J., Faculty of Environmental Studies, York University; Fenech, A., Climate Laboratory, University of Prince Edward Island; Fraser, L., Faculty of Science, Thompson Rivers University; Godbout, S., Sciences biologiques, Université Laval; Henriques, I., Schulich School of Business, York University; Heyland, A., Department of Integrative Biology, Guelph University; Hoberg, G., Faculty of Forestry, University of British Columbia; Holden, M., Department of Urban Studies and Department of Geography, Simon Fraser University; Huang, G., Institute for Energy, Environment and Sustainable Communities, University of Regina; Jacob, A., Department of Geography, University of Victoria; Jodoin, S., Faculty of Law, McGill University; Kemper, A., Faculty of Entrepreneurship, Ryerson University; Lucotte, M., Département des sciences de la terre et de l’atmosphère, Université de Québec à Montréal; Maranger, R., Département des sciences biologiques, Université de Montréal; Margolis, L., John H. Daniels Faculty of Architecture, Landscape and Design, University of Toronto; Matthews, R., Department of Sociology, University of British Columbia; Mauro, I., Department of Geography, University of Winnipeg; McDonnell, J., School of Environment and Sustainability, University of Saskatchewan; Meadowcroft, J., School of Public Policy and Administration, Carleton University; Messier, C., Département des sciences biologiques, Université de Québec en Outaouais; Mkandawire, M., Verschuren Centre for Sustainability in Energy and the Environment, Cape Breton University; Morency, C., Département des génies civil, géologique et des mines, École Polytechnique de Montréal; Mousseau, N., Département de physique, Université de Montréal; Oakes, K., Department of Biology, Cape Breton University; Otto, S., Department of Zoology, University of British Columbia; Palmater, P., Departments of Politics and Public Administration, Ryerson University; Palmer, T. S., Knowledge Transfer Consultant; Paquin, D., Simulations et analyses climatiques, Ouranos; Perl, A., Department of Political Science, Simon Fraser University; Potvin, A., École d’architecture, Université Laval; Ramos, H., Department of Sociology and Social Anthropology, Dalhousie University; Raudsepp-Hearne, C., Consultant; Robinson, J., Institute for Resources, Environment and Sustainability, and Department of Geography, University of British Columbia; Simard, S., Faculty of Forestry, University of British Columbia; Sinclair, B.J., Department of Biology, Western University; Slawinski, N., Faculty of Business Administration, Memorial University; Stoddart, M., Department of Sociology, Memorial University; Sylvester, S., Centre for Dialogue, Simon Fraser University; Villard, M-A., Département de biologie, Université de Moncton; Villeneuve, C, Département des sciences, Université de Québec à Chicoutimi; Wesche, S., Department of Geography, University of Ottawa; Wright, T., Faculty of Science, Dalhousie University. 3. Meadowcroft, J.. 2010. “Climate change governance.” World Bank Policy Research Working Paper Series. 4941. 4. Geels, F.W.. 2010. “Ontologies, socio-technical transitions (to sustainability), and the multi-level perspective.” Research Policy, Special Section on Innovation and Sustainability Transitions 39: 495–510; Loorbach, D.. 2009. “Transition Management for Sustainable Development: A Prescriptive, Complexity‐Based Governance Framework.” Governance 23: 161–183; Markard, J., R. Raven, and B. Truffer. 2012. “Sustainability transitions: An emerging field of research and its prospects.” Research Policy, Special Section on Sustainability Transitions 41: 955–967; Smith, A., J-P Voß, J. Grin, 2010. 5. Bloomberg Finance LP, and Business Council for Sustainable Energy. 2015. “2015 Factbook: Sustainable Energy in America.” Available from http://www.bcse.org/images/2015%20Sustainable%20Energy%20in%20America%20Factbook.pdf. 6. International Energy Agency. 2014. “Energy Efficiency Market Report.” Available from http://www.iea.org/bookshop/463-Energy_Efficiency_Market_Report_2014. 7. Clean Energy Canada. 2014. “Tracking the Energy Revolution: Canada Edition 2014.” Available from http://cleanenergycanada.org/wp-content/uploads/2014/12/Tracking-the-Energy-Revolution-Canada-.pdf. This comparison is for direct employment jobs only in 2012, including the following sectors: biorefinery products, power generation (excluding crown corporations), grid and infrastructure, energy efficiency and clean transportation. See Clean Energy Canada. 2014. “Behind the Numbers: Our Oil Sands and Clean Energy Job Comparison.” December 3. http://cleanenergycanada.org/2014/12/03/comparing-oil-sands-employment-clean-energy-jobs/. 8. Hoffman, A. J. 2005. “Climate change strategy: The business logic behind voluntary greenhouse gas reductions.” California Management Review 47(3): 21-46; Wiegand, M. 2005. “Regulatory uncertainty slows utility investment.” Business and the Environment. June(9). 13. World Commission on Environment and Development. 1987. Our Common Future. Oxford: Oxford University Press. 14. Robinson, J. 2004. “Squaring the Circle: Some thoughts on the idea of sustainable development.” Ecological Economics 48(4): 369-384. 15. Svec, P., R. Berkebile, and J.A. Todd. 2012. “REGEN: toward a tool for regenerative thinking.” Building Research & Information 40(1): 81-94. 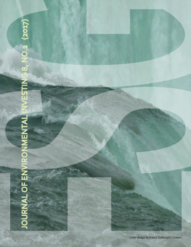 See the 2015 special issue of Building Research and Information on “Net-zero and net-positive design” 43(1). 16. See, for example, Sathaye, J., A. Najam, C. Cocklin, T. Heller, F. Lecocq, J. Llanes-Regueiro, J. Pan, G. Petschel-Held, S. Rayner, J. Robinson, R. Schaeffer, Y. Sokona, R. Swart, H. Winkler. 2007. “Sustainable Development and Mitigation.” In Climate Change 2007: Mitigation, Contribution of Working Group III to the Fourth Assessment Report of the Intergovernmental Panel on Climate Change, edited by B. Metz, O.R. Davidson, P.R. Bosch, R. Dave, and L.A. Meyer, 691-743. Cambridge: Cambridge University Press. On mainstreaming climate change into underlying sustainable development pathways, see Burch, S., A. Shaw, A. Dale, J. Robinson. 2014. “Triggering transformative change: A development path approach to climate change response in communities.” Climate Policy 14(4): 467-487. 17. Robinson J. and R.J. Cole. 2015. “Theoretical underpinnings of regenerative sustainability.” Building Research & Information 43(2): 133-143.